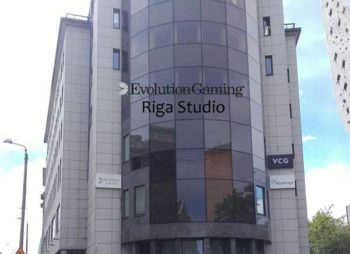 Evolution Gaming Review from inside the Studios in Riga, Latvia. This Evolution Gaming Review is a detailed trip report of my visit to the Evolution Live Casino studios located in Riga, Latvia in July 2017. It’s the second time I’ve visited an Evolution studio; my first trip was in May 2016 when I visited the smaller but no less important studio in Malta. 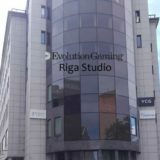 The Malta studio is mainly used for hosting native language tables, whereas the Riga studio, with one or two small exceptions, is entirely English language based. The one exception was in the Marathonbet area, which had one Russian speaking Blackjack table. 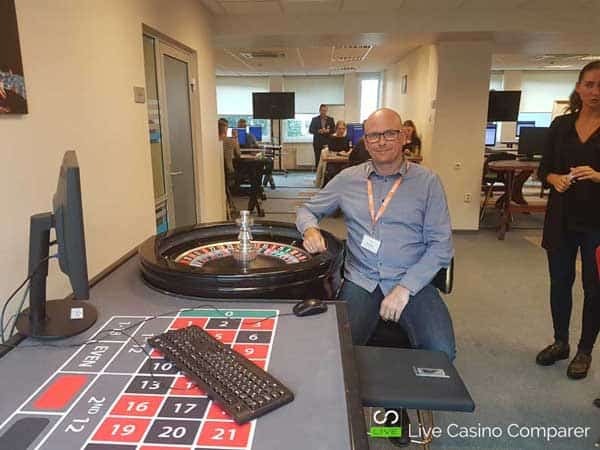 Following lunch in the canteen, I was given a full all access tour of the live casino studios and offices. I started with a look around the Mission Control Room (MCR), followed by an exploration of the studio areas. Then onto the Evolution Training Academy and the Administration Building. I ended the day with a very interesting discussion with the Director of Product, Fredrik Bjurle. I didn’t manage to speak directly with the Head of Compliance and Risk but have made arrangements to do that separately. This will be a separate article. Unfortunately, due to security and other reasons, I was unable to take many pictures while touring the facilities. I’ve done my best to get some behind the scenes images that you’d not normally get to see. 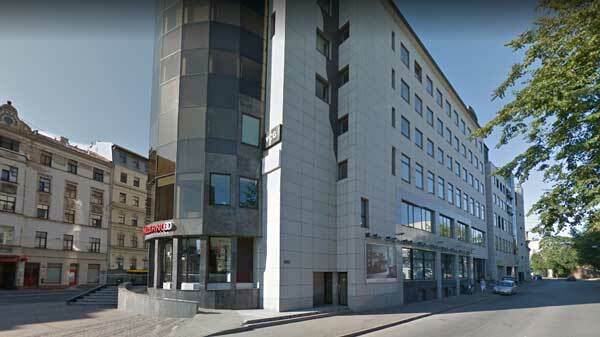 The studios and office based staff are located in two adjacent buildings in Riga, Latvia. The Evolution Academy (training centre) has recently moved to a new building, it’s about a 3-minute walk down the road. Evolution took sole occupancy of both buildings in 2016 and since then they’ve embarked on a major refurbishment program. All 9 floors of each building are being modernised, making more space available for studios and the office staff. They’re doing this alongside opening new dedicated areas and taking on more casinos. It’s no mean feat. At times it looked a bit chaotic, with workmen busily doing their thing while trying to keep the noise down. But the presenters were excellent and carried on as if nothing was going on. Very impressive! Shortly after I arrived I was taken to the canteen for a bite to eat. It’s another area undergoing refurbishment, but regardless, there was a great selection of food and my choice of chicken supreme with rice was very tasty. Sitting there I watched a constant flow of people coming in and out. I recognised some familiar faces from my many sessions at the tables. I smiled and then remembered they’d have no idea who I was. As is the modern way, most people had their heads buried in their phones catching up with the world outside. Screens on the wall flashed information about life at Evolution, scheduling and offers of additional shifts and shift swaps. 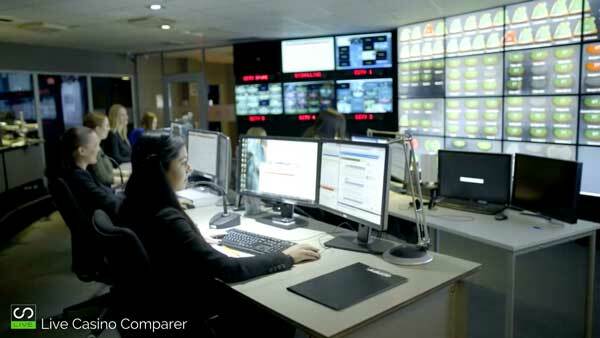 I began my tour in the MCR (Mission Control Room), the hub and epicentre of the whole operation. This is where all the tables are monitored and where the first line support agents sit, ready to react to any incident and provide support to the dealers and floor supervisors. It’s quite impressive looking, a sort of ships bridge layout, with a full wall covered in flat screen monitors showing the live streams of each table. There’s a simpler schematic showing a representation of each table with a colour code indicating the “health” of the table. It’s very effective and your eye is immediately drawn to the ones that have current incidents logged against them. Most of the monitoring is automated with support staff reacting to alerts when they are raised. 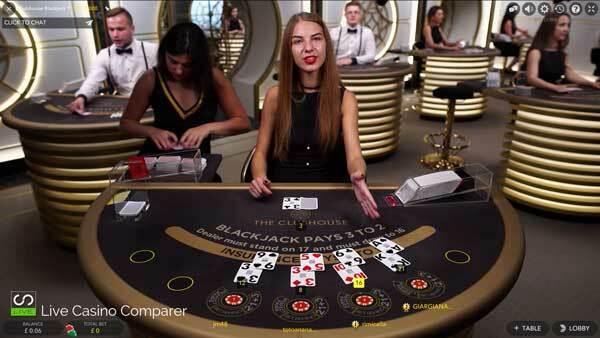 A team of Dual Play hosts monitor the remote Dual Play Roulette tables located at the Hippodrome, The Ritz Club, Grand Casino and Dragonara land based casinos. There is a close working partnership between the Dual Play hosts and the onsite casino staff. I then spent the next hour being escorted around the studios. The best way I can describe the studio floors is like a maze. You have these narrow corridors, often shrouded by black curtains, snaking their way down the entire length of each building floor. Behind the curtains sit each of the studio areas. Some hold a dozen or so non-branded generic tables, while other games like Immersive Roulette and Dream Catcher have little studios to themselves and are behind closed doors. Then there are the dedicated fully branded areas of the likes of Unibet, Genting, Leo Vegas which take up a lot more space. All the areas are different shapes and sizes depending on the number of tables they have. It’s impossible to a have a uniform layout, so they’ve ended up with a maze of corridors linking each studio. For the visitor, it can feel a bit disorientating. I happened to be there at 15:00 which is Shift change over time. As I discovered it probably wasn’t the best time to be in one of the small corridors. I was reminded of one of the Harry Potter films where you see everyone rushing to work at the Ministry of Magic as Harry, Ron and Hermione battle against the tide of people to reach the exits. I felt very much in the way, so flattened myself against the curtains as the wave of presenters poured from side passages into the main thoroughfare. Within a few minutes, everything was calm and we continued on. If you’re a regular player then you’ll know that the dealers spend about 30 minutes at the table before being moved onto another. A master schedule is displayed on TV screens in the corridors and this tells the presenters where their next table is. You see groups standing by the screen waiting for the next update before scuttling off to their next destination. It’s not often they know in advance the tables they will be dealing on unless they are in one of the dedicated areas. 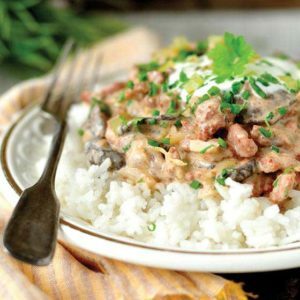 Being late for a table can knock the schedule off. One late dealer can impact dozens of people, which explains the rushing down the corridors and also why timekeeping is so important. Wandering around the studios you could really see the change that has taken place with design and technology over the years. Some of the older areas have a more traditional feel while others are breaking new ground with rather creative designs. 888 has a very futuristic design. The new area for GVC, The ClubHouse is modern with a hint of tradition. All these newer areas benefit from the latest technologies. It was good to see that teleprompter technology is now being used. The dealers actually appear to make eye contact with you now, whilst reading and replying to chat messages. It’s been a bugbear of mine for quite a while so it’s nice to see a solution now exists. The Immersive Roulette room was bigger than I expected, as was the Dream Catcher studio. Both of these are behind closed doors, whilst most other studios are open to the elements with only curtains separating them from the corridors. The Blackjack Party tables are kept out of the way, probably because they are so noisy. The Leo Vegas Celebrity Blackjack table is especially noisy and is in the Chambre Separee which is behind closed doors. Big TV screens and Blue screen backgrounds are being used more to provide different backgrounds and to reinforce design elements. William Hill has moving day and night images of Las Vegas in their Vegas themed studios. Just make sure you don’t suffer from motion sickness if you decide to play there. Evolution’s Design Team work closely with each operator to produce a studio design that meets the exact look and feel they are after. I suspect there is a little rivalry going on between the operators as I’m constantly seeing tweaks to designs being made. The Evolution Academy is located just down the road from the main building. In the rain, it’s a 3 min walk, a bit longer if the sun is out. It occupies two floors that contain classroom type environments, a makeup school and studio mock-ups with tables and roulette wheels. There’s even a Dream Catcher wheel and the newer Baccarat tables with squeeze functionality. About 120 presenters go through training each week. There’s always something to train on, be it a new game, new technology or a change in a process. The facility is available between 07:30 am to 10:30 pm, so presenters are able to attend before or after their shifts. While I was there, two groups were going through some Roulette instruction and making use of the facilities to practice. Others were at the card tables practising their dealing skills. The presenters are given tuition in the game’s, presentation and makeup skills and how to handle errors at the table. As everything can be heard by the player they are also coached in how to respond and talk to support. Training is provided on a one on one basis, in groups or by using computer-based training modules. Computer programs simulate play so the presenters can learn and practice on their own. There are ongoing tests so they can monitor their performance and improvement, before finally being passed to deal at the live tables. I counted 7 full-time trainers who were on shift during my visit. There are 22 in total. Learning how to operate Evolution Live Roulette. The training team also get involved in the recruitment process. The presenter needs an ability to learn and accept feedback. They must have an outgoing personality so they can learn presentation skills. To perform tasks accurately and without mistakes. Punctual timekeeping is a must. The Female / Male split is about 50/50, but it does fluctuate at times. A lot of the dealers are students, so the summer sees them going home or graduating from education. The training and recruitment teams are much busier during this period while they induct the new staff into Evolution. I was interested in understanding more about how Evolution handles risk and fraud. Unfortunately, I wasn’t able to speak to the Head of Risk & Compliance but will arrange a Skype conversation with her during the next few weeks, so look out for that. When being demoed the games I asked about what the dealer could see on their control screens. The information provided to the dealers is limited. They are able to see nicknames and decisions. For Roulette, they can see how many people are playing and how many won during the last round. I was concerned that having this information may influence the dealer to behave in a certain manner to the advantage of the player or even the house, but this was quickly dispelled. Evolution has developed very sophisticated monitoring systems. Any behaviour outside of normal operating parameters will raise alerts. It covers such things as dealer behaviour and whether the roulette wheels are being spun within the set limits. 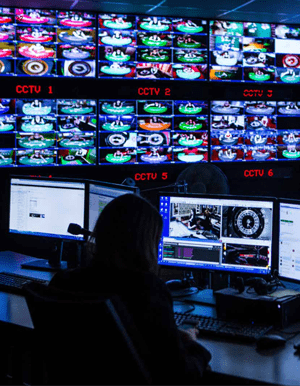 It looks like they collect data on everything that goes on at the tables, which allows them to analyse what’s going on and improve the games and dealer performance. 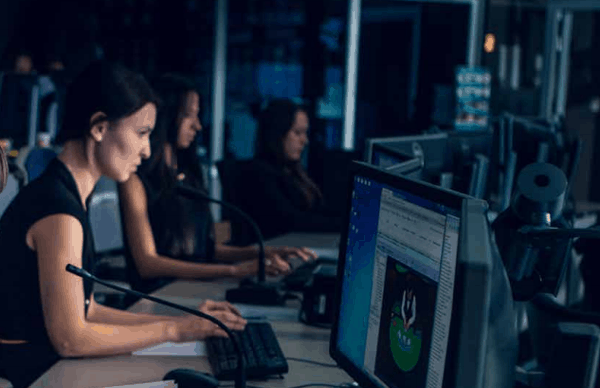 A specialised team monitors and investigates the alerts when they do occur and provides relevant information to the casinos to help them manage their risk. I hadn’t noticed before but a new dealing shoe has been introduced on the Baccarat tables. It’s relatively new and differs from existing models because it has the ability to read normal playing cards without a bar code. It’s very similar to a shoe produced by Shufflemaster, but this one has a clear Perspex top half holding the cards. I also knew, but it’s worth mentioning again that on the Baccarat Squeeze table the card packs are only used once and then destroyed. It’s mainly because the cards become creased and this could potentially allow players to identify particular cards if they were re-used. Also, creased cards can jam in the dealing shoe if they are used a second time. I queried the cost and was told that it costs more to try and salvage the good cards to make new decks, than it does to replace the whole deck. They buy such large numbers that the cost per deck is very low, but it’s still a huge expense each year. There is a lot of development work going on with the Evolution Live Casino platform. Obviously what interests me is the new games we can expect to see and other things that players might benefit from. As you’d expect they were keeping the exact details close to their chests. If you look at the games portfolio, they are still missing a few land based table games. So we could expect to see one or two of those appear. We’re also likely to see more Autoplay features added to some games, similar to the AutoPlay on Dream Catcher. Different side bets and tweaks to games to make it easier to bet are also on the roadmap. The success of the new money wheel, Dream Catcher is prompting more research in games of that type. HTML5 is also being rolled out to replace the flash interface. You’ll notice absolutely no difference, but this provides a platform that Evolution will be able to build on with relative ease. We discussed the progressive jackpots briefly. Statistically one will probably hit when it gets to around the Ten Million mark. So keep an eye out and start playing it when you see that figure. Assuming 300 people are playing it at the time they’ll get £33,333 each. Not bad for a £1 bet! Logic tells me that more of the table games could benefit from a Progressive Jackpot. We’ve seen it so far on Casino Hold’em and Caribbean Stud Poker. At least two other games could take it assuming that the numbers add up. Again, nothing was confirmed and is pure guess work on my part. Evolution has a very large back office staff, covering everything you’d expect to find in a large company. They are housed in the other “half” of the building which is also going through a refurbishment program. In complete contrast to the studios, each floor has lots of light and glass and is themed. The themes range from Sky, Mountains, Forest and Ocean. I got a nice feeling as I walked around and got the opportunity to meet their new pet, a Parrot. A nice idea, but not something I’d personally keep in an office environment. Lastly, I was introduced to the Customer Support team, the ones that deal with the Business to Business Customer and players. The team provide support for the Operators via a Service Desk and directly to players via the in-game chat function. As well as responding to customer and player queries, they proactively monitor the health of all critical services and are responsible for all Incident Management functions. Support is currently delivered in 7 languages (English, Italian, Flemish, Spanish and more). The team is resourced dynamically depending on the demand for support during peak hours. As with a lot of my visits, I find the studio areas very interesting. I love the technology and how with some great lighting you can make something that looks relatively cramped look stunning when viewed through a camera lens. I’m constantly amazed at every visit I do. Change seems to be constant and inevitable. The challenges for the operators are all the same, it’s just the scale that’s different. Evolution is by far the biggest live casino provider I’ve visited and probably the most mature. 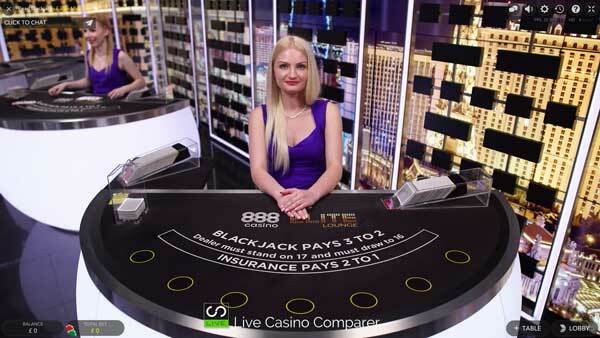 It’s not surprising that most of the live casinos I’ve reviewed have an Evolution live casino at their core. 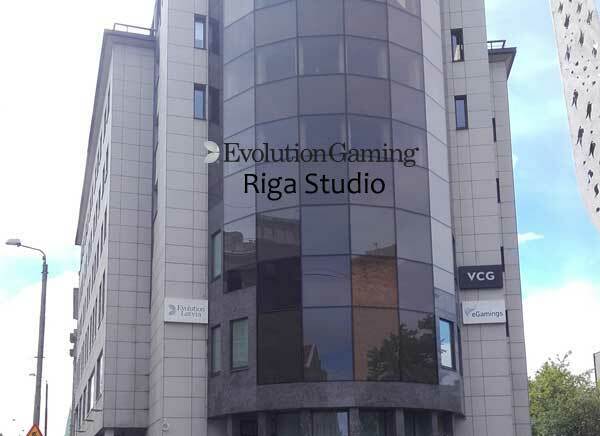 I had a great day at Evolution Gaming, I got to meet some really nice people who are committed to their jobs and saw some really cool stuff along the way. Live Casinos are growing in popularity, I’m seeing evidence of that with every visit I do. I really enjoy my trips and producing articles on what i’ve learnt. My job is pretty good sometimes.